Hear Us! 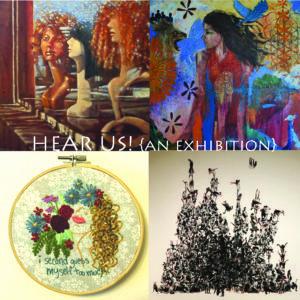 is an exhibition of art about women by women. This exhibition is in honor of Women’s History Month. Much is missing from history from the feminine perspective, including only a 5% female artist inclusion in most major galleries, museums, and private collections. So many accomplishments and contributions by women to culture and society are not heard. 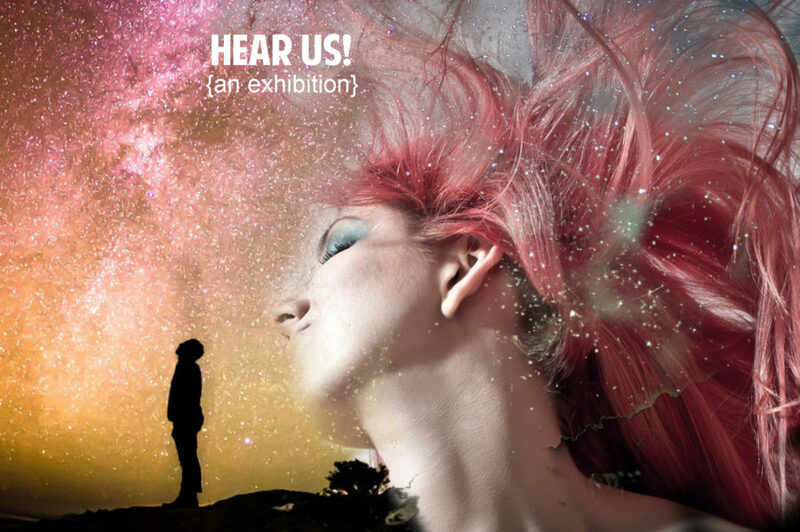 The talented artists in this exhibit have depicted visually what they have to say from a female perspective, what they would like heard, the issues that are important to them as a woman, and how it feels living in global patriarchy. Opening Night is March 1st 6:30-8:30. The event hangs through March 29.